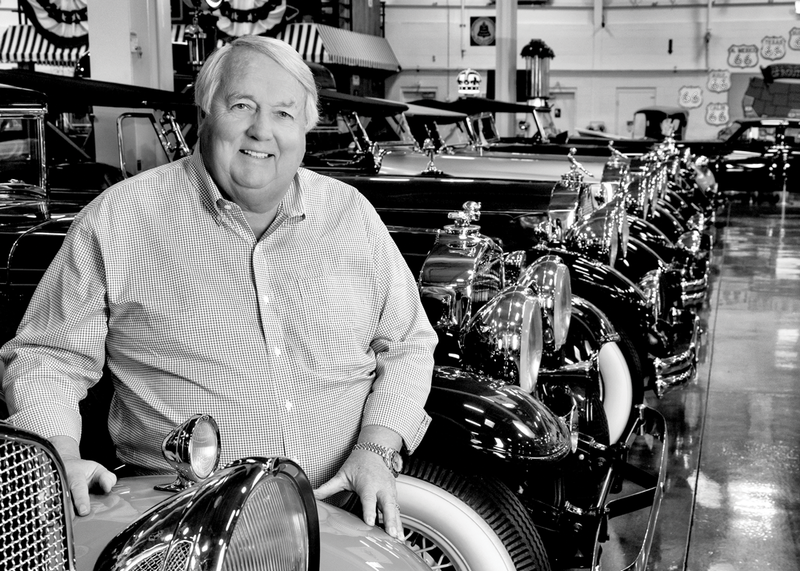 Ted Stahlâ€™s passion for motorcar design, which began as a way to help his children gain appreciation for all things mechanical, has grown into one of the nationâ€™s premier collections of vintage vehicles and automotive memorabilia. The Stahlsâ€™ Automotive Collection, open to the public on select days, is home to more than 100 classic cars from the Brass Depression, Pre-Post War and Modern eras, including one-of-a-kind treasures. Stahl delights in seeing people experience the cars and multi-sensory exhibits-original Route 66 signage, vintage neon lights and gas pumps, a drive-in-theater, a replica of a 50â€™s diner and interactive displays. â€œOur goal is to educate and inspire people by giving them an appreciation for the history of automotive design and its impact on life as we know it.â€ Stahl says. Adding to the museumâ€™s atmosphere are some of the rarest fantastical mechanical machines in the world. Including a Gaudin 125-Key Dance Organ, the largest dance hall organ in the world. Curious? Thatâ€™s exactly how Ted Stahl hoped youâ€™d feel.